A classic musical, popular standup comedian and celebration of the University of Nebraska–Lincoln’s sesquicentennial are coming to the Lied Center for Performing Arts in February. Tickets are on sale online, by phone at 402-472-4747 or at the Lied Center box office, 301 N. 12th St. Students at Nebraska can purchase tickets at a 50 percent discount with a valid NCard. All performances are on the Lied’s main stage unless otherwise noted. "The King and I," Feb. 1, 7:30 p.m.; Feb. 2, 2 and 7:30 p.m. — Based on the 2015 Tony Award-winning Lincoln Center Theater production, this Rodgers and Hammerstein musical boasts such beloved classics as “Getting to Know You,” “I Whistle a Happy Tune,” “Hello Young Lovers,” “Shall We Dance” and “Something Wonderful.” Set in 1860s Bangkok, the musical tells the story of the unconventional and tempestuous relationship that develops between the king of Siam and Anna Leonowens, a British schoolteacher whom the monarch brings in to teach his many wives and children. Chris Botti, Feb. 7, 7:30 p.m. — Botti counts Yo-Yo Ma, Steven Tyler, Herbie Hancock and Michael Buble among his many fans. The Grammy-winning trumpeter returns to the Lied Center with his band for a performance of jazz standards, famous masterpieces and pop music classics. 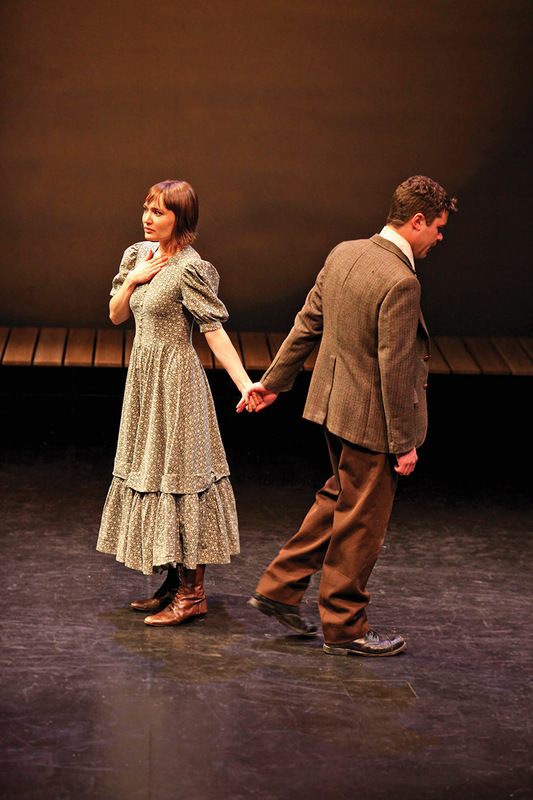 “My Antonia,” Feb. 7, 7:30 p.m.; Feb. 8, 7:30 p.m.; Feb. 9, 2 and 7:30 p.m., Carson Theater — Celebrating the 100th anniversary of Willa Cather’s novel, this new theatrical adaptation is told through the memories of narrator Jim Burden. In the production, Burden returns to Nebraska after 20 years to see Antonia, the immigrant girl who shaped his understanding of life. “Charter Day Celebration: Music and Milestones, N150,” Feb. 15, 7:30 p.m. — The university will celebrate its 150th anniversary with an evening of live performances and multimedia entertainment. Jeff Zeleny, senior White House correspondent for CNN and Nebraska alumnus, will guide the audience through some of the university’s major accomplishments. Music will be performed by students, faculty and distinguished alumni of the Hixson-Lied College of Fine and Performing Arts, Glenn Korff School of Music and Nebraska Repertory Theatre. Learn more. Tim Allen, Feb. 23, 7:30 p.m. — The comedian and actor — known for his starring roles in “Home Improvement,” “Last Man Standing,” and the “Santa Clause” and “Toy Story” franchises — will perform an evening of lively standup. The performance is intended for those 18 and older. Find out more about these shows and others. 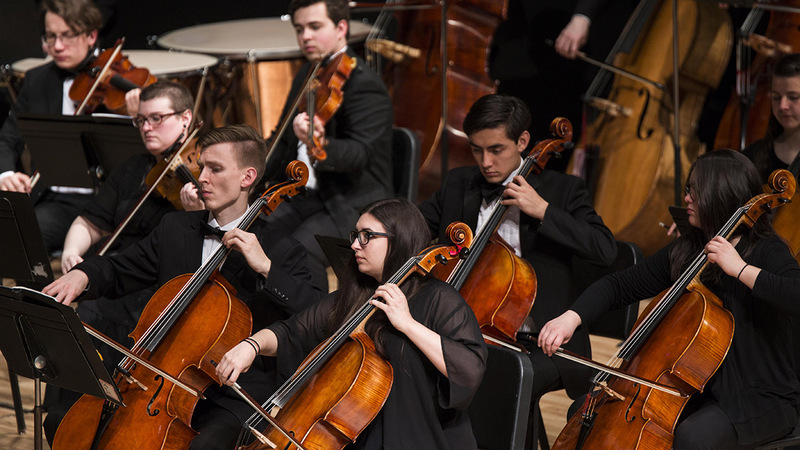 The UNL Symphony Orchestra will perform during "A Celebration of Music and Milestone, N150" on Feb. 15.